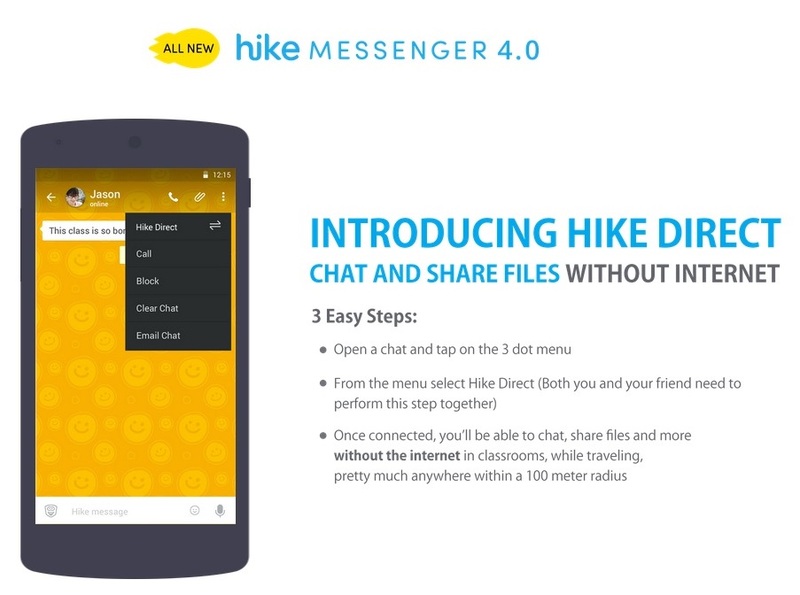 Indian internet company Hike Messenger today announced the introduction of Hike Direct that allows users to chat, exchange stickers, transfer photos and heavy files of any type, without the Internet or incurring data charges. According to a statement the company claimed that Hike Direct allows mobile devices to connect with one another directly within a 100 meter radius completely by passing the telecom networks. 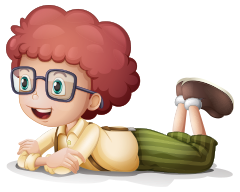 Once connected, users can chat and share files like they would using any other messaging app. In fact, these transfers can happen directly with a speed of up to 40Mbps. According to the company, hike direct is built ground up with a new generation of network solutions. It adds, that hike direct uses Wi-Fi Direct technology systems that help establish peer to peer network connection between two phones. To use hike direct, you need to start a conversation with a friend and choose Hike Direct from the 3 dot menu on top right of the screen. Hike automatically pairs up with the other phone and lets you chat and share files with your friends without the internet. With the latest version 4.0 of hike messenger, users now have access to news, Hindi news bytes, localised stickers in 30 languages, automatic sticker suggestions, Group calling, Group chat upto 500 members and 100 MB file sharing among other features. Free Group Calls With Upto 100 People With The Tap Of A Single Button! Send All Kinds Of Files. Even APKs! Try Out That 4G Connection. Send Files Up To 100 MB! Over 15 Local Photo Filters & Doodles To Spice Up Your Photos! Quick Bite Sized News Updates Under 100 Words!